Fake news merchants, corrupt officials and political thugs are just a few of the targets in the crosshairs of journalists chosen for the 2018 Balkan Fellowship for Journalistic Excellence. In its 12th year, the fellowship began with a four-day seminar in Vienna that brought together 10 new fellows from across the region, all committed to tackling this year’s theme: TRUTH. Chosen from around 100 applications, they come from Romania, Croatia, Serbia, Montenegro, Kosovo, Albania and Greece. Supported by ERSTE Foundation and Open Society Foundations and run in cooperation with the Balkan Investigative Reporting Network, BIRN, the fellowship aims to promote the highest standards of journalism. It gives mid-career reporters the funding and editorial support to pursue investigative stories that cut across borders. Over the next four months, fellows will carry out in-depth reporting as they try to untangle the webs of power, influence and money that envelope their proposed stories. 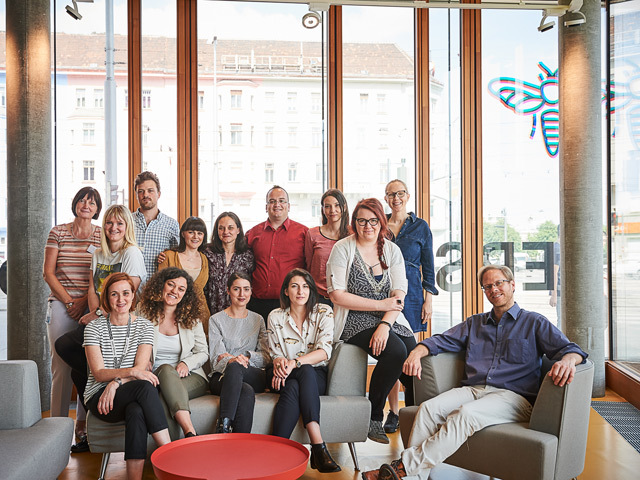 In Vienna, they received practical tips from BFJE Editor Timothy Large on how to research, report and write long-form articles for international impact. They then hammered out story ideas and reporting strategies during intensive editorial sessions with Timothy Large, Balkan Insight Editor Gordana Andric, BIRN Regional Network Director Marija Ristic and BFJE Programme Manager Dragana Obradovic. The seminar also included a visit to the newsroom of Austrian daily Der Standard, a media partner of the programme, and a session on cross-border collaborative journalism by Brigitte Alfter, Managing Editor of Journalismfund.eu. Barbara Trionfri, Executive Director of the International Press Institute, spoke on global press freedom and trends in media development while Gordana Andric from Balkan Insight shared pointers on multimedia storytelling. This year’s fellows are Arlis Alikaj (Albania), Iona Burtea (Romania), Claudia Ciobanu (Romania), Alexander Clapp (Greece), Ivana Jeremic (Serbia), Lorelei Mihala (Romania), Andrea Milat (Croatia), Andjela Milivojevic (Serbia), Leonida Molliqai (Kosovo) and Dusica Pavlovic (Montenegro).